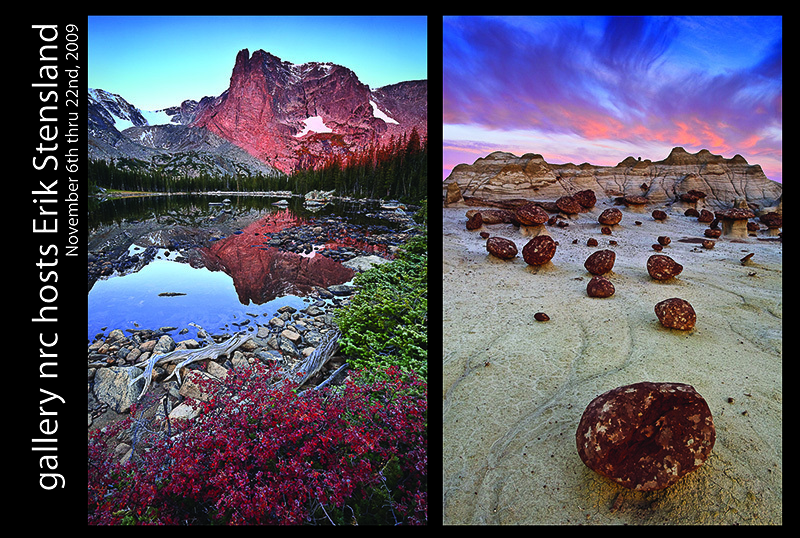 Estes Park Photographer Erik Stensland, features a collection of images from Rocky Mountain National Park, the desert southwest and the United Kingom. Photography is a way for me to communicate my deepest feelings about our natural world. To me, nature is more than a random collection of mineral elements and organic growth; it is a story which tells us who we are. Today people flock to the mountains, deserts and oceans to connect with a deep longing and desire that they feel in the presence of untamed nature, a yearning that is hard to put into words, an almost spiritual connection with these wild places. One of the connecting threads behind these feelings is the concept of beauty, yet for many artists beauty is passe. Pablo Picasso was once asked what he thought of beauty. He responded, “To me it is a word without sense because I do not know where its meaning comes from nor where it leads to.” Unlike Picasso, I believe that beauty holds a message and my photography is an attempt to explore the deep voice of beauty. My work is characterized by vibrant natural colors which are typically found at sunrise or sunset. Having spent over a decade in post-communist Europe where much was very gray, I returned to the United States with a deep hunger for color and so I’ve made that a key element of my photography. I believe that it gives my images a vibrant and hopeful feel which can speak into our mundane and often pain filled lives. My primary area of focus is Rocky Mountain National Park. I’ve spent nearly 6 years exploring its 415 sq. miles building the most extensive collection of fine art images of the park. The National Park Service has also begun sending me into their research areas to document them. Beyond Rocky, I’m actively building collections in the Desert Southwest and the United Kingdom.